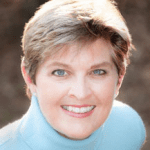 Melanie Roche is an energy healer and creator of the Energy Mastery System. 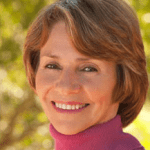 A pioneer and leader in the fields of energy healing and mind-body complementary healthcare, she brings a wealth of experience in energy healing, meditation, body-oriented and transpersonal therapy, physical actor training, and movement to lead personalized programs for thought leaders, entrepreneurs, patients, and health-care practitioners. Melanie was invited—along with a physician and other holistic practitioners—to inaugurate the Integrative Health and Wellness Program at Canyon Ranch Miami Beach, the mind-body health resort that attracts guests seeking a healthy lifestyle through comprehensive integration between medicine and healing. She also coordinated a program at New York University School of Medicine for students who plan to become physicians. In addition to her training with healing masters, she also holds a BA in comparative religion from Columbia University and an MA in experimental theatre from New York University. Melanie leads workshops internationally. A published writer as well as a playwright, choreographer and performer, Melanie has written a play, performance pieces, articles about theatre, health and medicine. 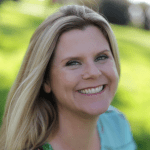 A cancer survivor herself, she is the author of Thriving Through Cancer: Tools and Practices to Feel Better and Improve Your Quality of Life – During Cancer and Beyond – An Integrative Method.